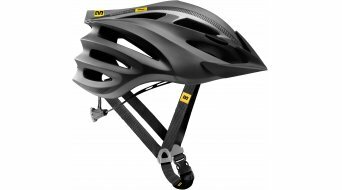 Why should I wear a helmet when cycling and what type of helmet is right for me? The purpose of a helmet is easy to explain: It is to prevent injury to your head. Wearing a helmet protects you and helmets have to withstand a lot! Helmets have to protect the sensitive head area as best as they can in the event of a fall, while at the same time using the least amount of material possible. While helmets cannot prevent accidents, they can certainly reduce your risk of getting injured. Along with the standard unisex models, there are, of course, helmets specially designed for women and children. This means that the helmet will be suitable to the shape of the cyclist's head. Another factor is the intended use, i. e. the environment. If you are usually out and about in areas suitable for mountain bikes or trekking bikes, you would typically choose a mountain bike helmet. 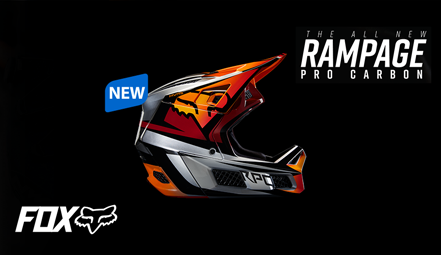 Downhill bikers and MX bikers should opt for full-face helmets oder motocross helmets. These ensure optimal protection. Road bikers will want a more streamlined and particularly light road bike helmet. For helmets, there is a vital rule of thumb: Helmets must not wobble and they must not put pressure on your head anywhere. They must fit perfectly. The helmet should fit very snug to your forehead, temples and the back of your head, but you should not feel any pressure. Comfort is extremely important. This is also why helmets should be light and they should have ventilation ducts (especially for the road bike riders out there). The latter is important because - regardless of what sport it is you love - wearing a helmet inevitably means that you will sweat. If helmets do not fit perfectly or get in the way, people tend to stop wearing them, nobody more quickly than children. However, it is at an early age that wearing a helmet should be made a priority. The fit of a children's bike helmet is an important factor in getting your little ones interested in wearing a helmet. This explains why children's helmets are colourful and embellished with cute images or characters. For teenage cyclists, manufacturers have models on offer that feature a cool design. For children's helmets, additional factors come into play. There are additional reflectors and easy-to-use fastening systems that a child can use on his or her own. Finally, these helmets tend to be very lightweight. In regards to the technology that goes into manufacturing and design, today's children's helmets are just as good as those for adults. By the way, the controversial issue of making helmets mandatory has been discussed in Germany for quite some time now. As yet there is no such regulation in place, excluding racing events, of course. The same debate has erupted over helmets for anyone riding an electric bicycle. We believe that anyone who is serious about MTB or racing should wear a helmet! To ensure that helmets are up to standard, they must comply with the DIN EN 1078 standard, a standard used to determine the protection a helmet offers. Helmets should also bear the CE marking. The latter is a mandatory conformity marking for certain products sold within the European Economic Area. Nothing is more important than your head! Should your helmet have been damaged as a result of a fall and should the inside have been damaged as well, it is definitely high time you replaced it! It is also a good idea to replace an old helmet. It might be that the material has become porous, meaning that the helmet can no longer provide effective protection. We strongly advise against buying a used helmet. This helmet might bear damage resulting from a fall. It is very difficult to check for these things. Instead, consider buying a helmet on offer or an end-of-line model. Changes in models and design might be an opportunity to find a good deal. Test reports are also helpful. Before committing to anything, you should try on different helmets. This is to ensure that both the size and shape are suitable for you. Different models and a range of top-notch brands - at HIBIKE you'll find a wide range of helmets. These days, helmets can be divided into one the following two categories: Hardshell helmets made of foam and covered in plastic. Due to the hard shell, this model is slightly heavier. These helmets are ideal for mountain bikers so they can handle downhill stretches in rugged and challenging mountainous terrain. Microshell helmets: These are the most widely sold these days. These helmets are light, feature ventilation ducts all around your head and have a thin plastic coating. Helmets like these tend to weigh less than 500g.